Armed forces educational benefits don’t just apply to currently serving active duty service members. They may also apply to individuals serving in the Reserves or the National Guard, veterans who formerly served, and the spouses and dependents of current and former service members. Each branch of the military also has its own set of educational benefits that apply only to members of the branch. The combination of these benefits will make attaining a postsecondary education attainable for all. A Visual Guide to Educational Benefits: This chart lists educational benefits that are available to current active duty and reserve service members, veterans, and dependents associated with any branch. 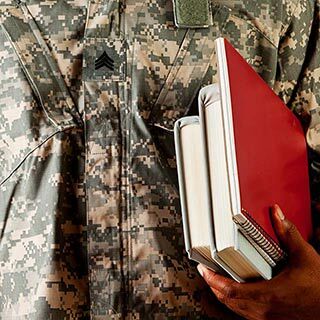 Understanding the GI Bill: The GI Bill provides financial aid to active duty and reserve service members, and in some cases spouses and children who are pursuing any type of postsecondary education or job training. DANTES Support: DANTES, a program funded by the Department of Defense, gives service members who meet certain qualifications a chance to take standardized tests for free and helps those interested in becoming secondary school teachers achieve their goals. Health Care-Related Financial Aid: Individuals who have studied or are studying to earn medical, dental, or veterinary degrees may be eligible for scholarships, grants, or loan repayment in exchange for a service commitment. VEAP, REAP, Tuition Assistance and Other Financial Aid: Not all support comes from the GI Bill or is available only to medical professionals. Service members may be eligible for tuition breaks, loan cancellation, or apprenticeships. 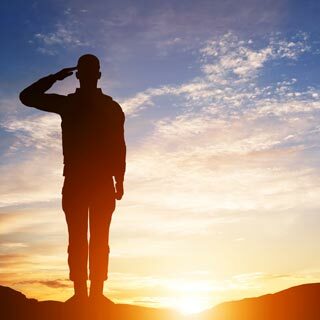 Aid Available Only to Military Dependents: Dependents mainly receive financial aid if their loved one is killed in the line of duty, but those hoping to earn a two-year or less-than-two-year credential may also qualify for assistance. Air Force Educational Benefits: Active duty Air Force members are eligible for a number of programs, particularly if they are currently enlisted but want to return to school to earn their bachelor’s degree and a commission. Army Educational Benefits: Both active duty and reserve members of the Army are eligible to multiple scholarships and educational programs. While some offer an incentive to enlist, other offer enlisted soldiers the chance to earn their bachelor’s degrees and commission. Coast Guard Educational Benefits: Though the smallest branch of the military, the Coast Guard offers grants for veterans, active duty service members, reservists, and military dependents to help with educational costs. Marine Corps Educational Benefits: Marines who want to further their education by earning a bachelor’s degree or master’s degree, attending a specialized program, or taking extra classes have access to multiple financial benefits. Navy Educational Benefits: The Navy provides many financial incentives to encourage soldiers to enlist and serve on active duty. That’s not all though, officers may be encouraged to return to school in certain fields on the Navy’s dime.